Over the summer I had the privilege to meet Jon Nieporte, his wife Christine and their four children. Jon is President of Foundation Escalera, a U.S. based Mexican charity that awards scholarships and builds schools in Mexico. 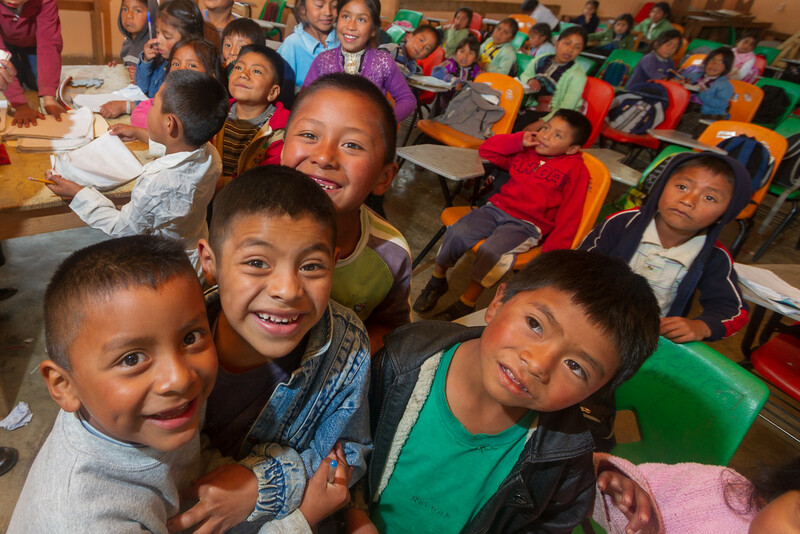 A few years ago Jon had participated in an expedition to build a school in Chiapas and was so impressed with Escalera’s work that he left his job and moved his entire family to San Cristóbal de las Casas so he could be more involved. 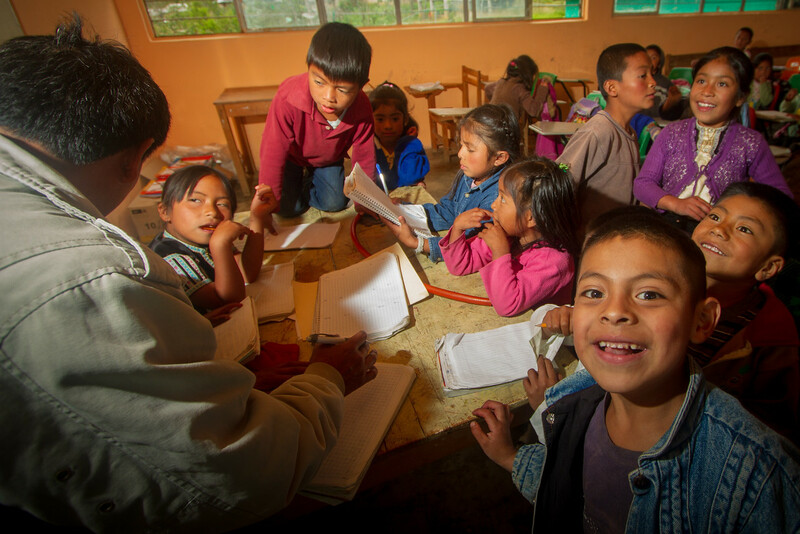 Later, Jon became the president of Escalera and the foundation has been expanding. The foundation is now in the final stages to begin construction of a school in Nichnamtic, one of the indigenous villages surrounding San Cristóbal. There are approximately 2,000 residents in Nichnamtic and the middle school has 200 students. Currently, there is no high school. 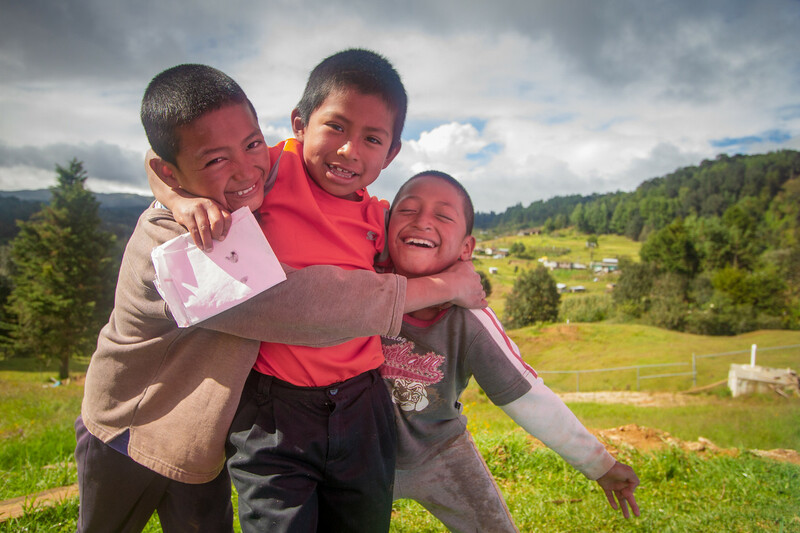 When these students finish middle school they either have to walk nearly an hour to a nearby village with an already overcrowded high school or, as is too often the case, drop out of school and attempt to find unskilled work at below poverty level wages. When Jon told me about Nichnamtic and the student’s dilemma I wanted to see and photograph this place. How Can You See Something Like This and Not Want to Help? One of the best things about being a photographer is that sometimes you get to do some work that is not only challenging but fun and educational. One of my primary reasons for taking early retirement was to improve my photography skills and hopefully help some people along the way. NGOs, non-profits and other charitable organizations are usually strapped for cash but also in great need of professional quality advocacy and fundraising photos. Organizations use these images to attract more funding to their causes but must necessarily balance the cost of obtaining the images – which goes straight to administrative expenses – with actually doing fieldwork. I saw their challenge as a great opportunity for me to do some good. We made arrangements and in September I got to visit. What I found was an amazing place in a storybook location. Nestled in the mountains up a winding road the village had the feel of someplace special. The houses were humble but well kept. The streets were clean, the animals were penned and the milpas were well tended. The people were determined but friendly. Yes, there was a feeling of poverty but there was also a palpable sense of pride. On this particular day, the middle school students were making a presentation to convince Escalera to build a high school there. 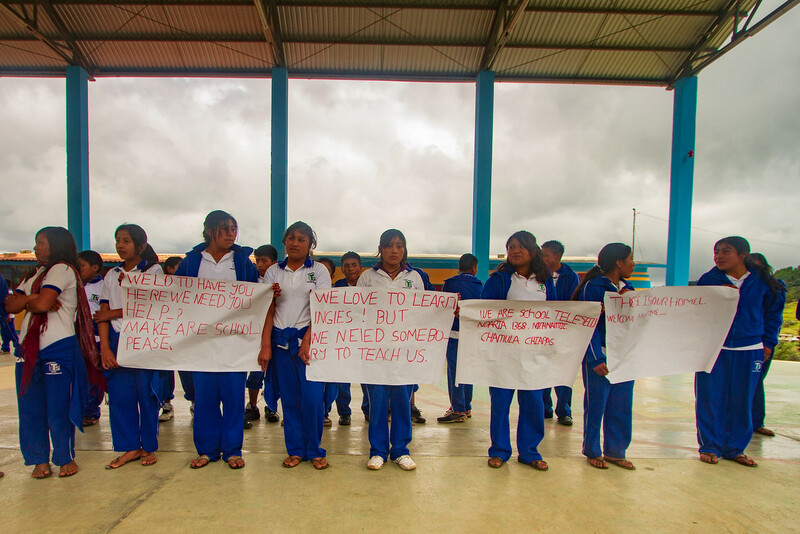 They had made hand-drawn signs welcoming us to their town, expressing their desire to learn and asking for an opportunity for a school. Anticipating that Nichnamtic may be under consideration by Escalera, the village elders had on their own motivation arranged to have residents come out and clear a large piece of property where the school could be located. It was amazing to see. All too often we become skeptical about people’s desire to lift themselves out of poverty, yet here it was. People working their hearts out for an opportunity to be or to have their children educated. People working hard for an opportunity to do something that I and many others have always taken for granted. It was uplifting and heart wrenching at the same time. Fast forward three months: Nichnamtic was awarded the school. Beginning December 26th construction will begin on the property that the residents cleared. The Mexican government and the State of Chiapas have both agreed to match every donation made through December. So far enough money has been raised to construct six classrooms but there is still need for more. If you are interested in helping this worthy cause, contact Foundation Escalera directly. Cute photos and a great project.